QUINTE TRASH BASH Apr. 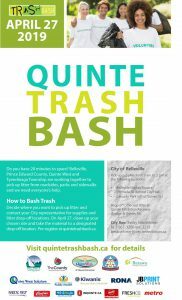 27 - Help keep our community clean and green at this year's Quinte Trash Bash. Pick up litter at various locations in Belleville. 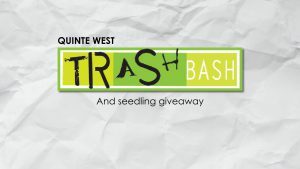 QUINTE WEST TRASH BASH Apr. 27 - Do you have 20 minutes to help clean up our community? Pick up litter from roadsides, parks and sidewalks for Quinte Trash Bash on April 27. HOPS ON THE WATER Apr. 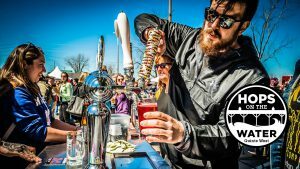 27 - Celebrate the start of spring with great local craft beer and cider! Enjoy fantastic live entertainment and delicious local food in downtown Trenton. 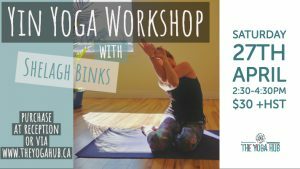 YIN YOGA WORKSHOP Apr 27 - Join Shelagh for an afternoon of Yin Yoga at the Yoga Loft in Belleville. All skill levels welcome. 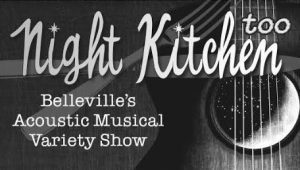 NIGHT KITCHEN TOO Apr 27 - Belleville's Acoustic Musical Variety Show. Come see seasoned professionals present their latest efforts. 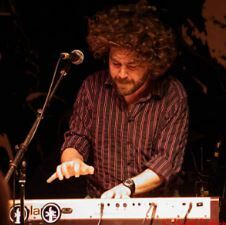 SPENCER EVANS Apr 27 - Spencer plays piano, clarinet, accordion and sings! He has been a professional musician over 20 years. Catch him live at Capers restaurant.